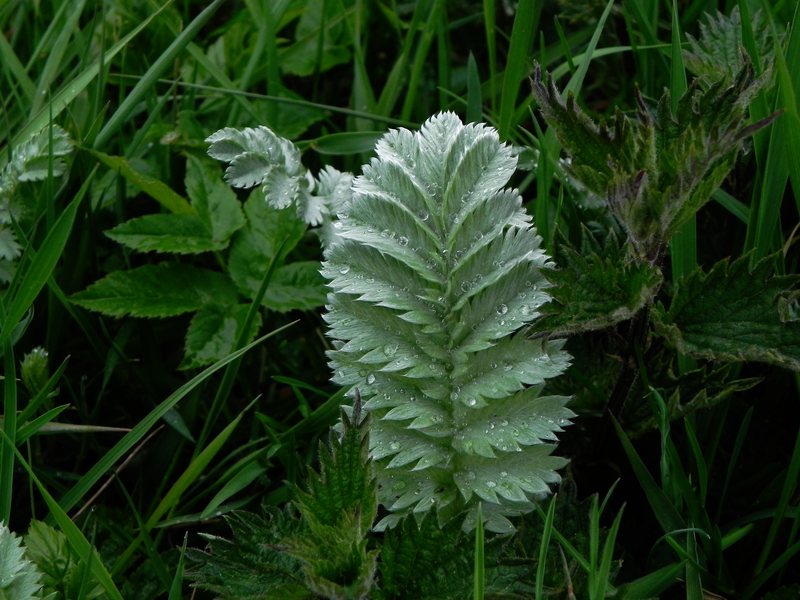 This is Sliverweed or Goosewort or Prince’s Feathers or More Grass or Goose Tansy or Silver Cinquefoil and on and on for a good couple of paragraphs. Now, it is my firm belief, that people in ‘The Olden Days’ or ‘The Middle Ages’ were actually just like you and me. So the average person then, knew just as much about the plants and wildlife as you and I do. They, however, didn’t have easy access to the Internet nor, at the time, were bookshops at the prime of their lives. So, if a plant has a great many names, it usually means you can eat it or it is a deadly poison, the two most important things to anyone who lived in a rural environment – a common paradigm of the aforementioned times. Next on the list must be that it is either harmless or harmful to livestock, then down the bottom of the list comes that it has medicinal properties. Silverweed fits neatly into my theory, not only is it non-poisonous but it is reputed to be quite tasty (we’ll try a bit and let you know) most animals – except sheep, this is probably down to bad marketing – or perhaps there’s none left by the time it’s their turn, really like it and it also has quite useful medicinal properties. Apart from strengthening the faculties, which every herb does without a second thought, it is also good for sunburn.